Need help getting started? 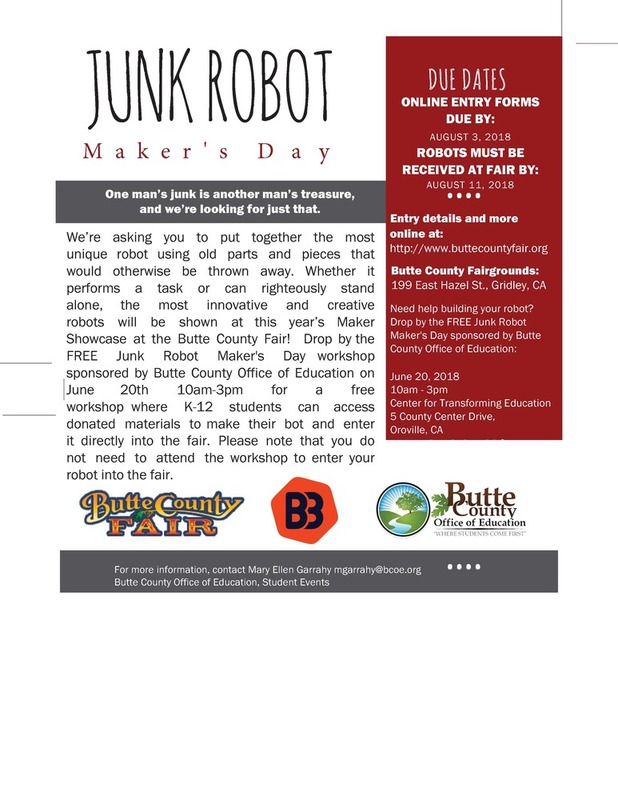 Drop by the FREE Junk Robot Maker's Day Workshop sponsored by Butte County Office of Education on June 20th 10am-3pm for a where K-12 students can access donated materials to make their bot and enter it directly into the fair. Please note that you do not need to attend the workshop to enter your robot into the fair.